Welcome to Tarzan Tree Removal, your local source of all tree services. Our stump grinding is your best option as it is quick and easy way to get rid of left over stumps. 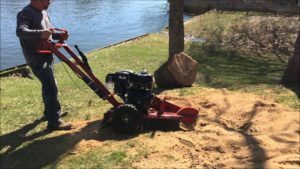 A stump grinder is a power machine similar to a lawn mower that can range from different sizes. The machine essential grinds the stump to the ground so that it is flat or below ground level. It is not, however, a machine that people typically have in their garage. It should only be done by a professional who knows how to operate it. Tree removal does not always include removing the stump since it depends on the choice of the homeowner. Some people like to leave the stump after tree removal for design reasons. 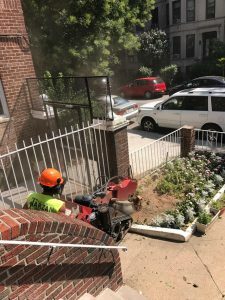 After tree removal, most people will choose the stump grinding option. Whether it is for design or practical reasons, most people choose to remove it. The stump is the end of the tree trunk sticking out of the ground. It can be large or small depending on the size of the tree. Most people see the stump as they see it as a waste of space or nuisance. Others, however, will use it for their landscape design. It is your preference. Commercial and residential owners may also need to remove a stump after a fallen tree, which can be because of weather or natural causes. Customers, however, decide whether or not they want a stump removed. A tree can always be removed and the stump can be left. 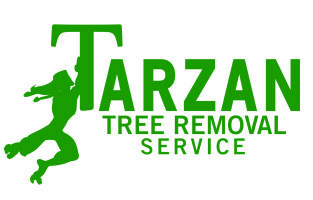 Call Tarzan Tree Removal today! can not fit into the walkway leading into a backyard it has to be done by hand. This of course is more expensive, as it will take more time and effort to remove the stump. 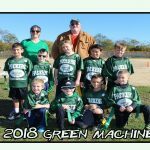 Which ever the reason is that you call Tarzan Tree Removal for stump grinding, we are prepared to make a visit within 24 hours and have it removed. For all emergencies please call 347-833-5862.